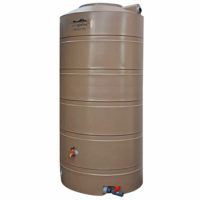 The ecogator® above-ground rainwater tanks are made of UV-stabilized food-grade polymer material. They are designed for durability and strength and have a 10-year warrantee. 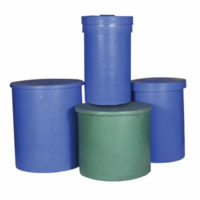 The ecogator® range of rainwater tanks comes with a clip-close lid and includes a sieve. The ecogator® 1000L tank inludes a bag of fittings as per image and a moulded-in recess at the bottom of the tank for easy linking.